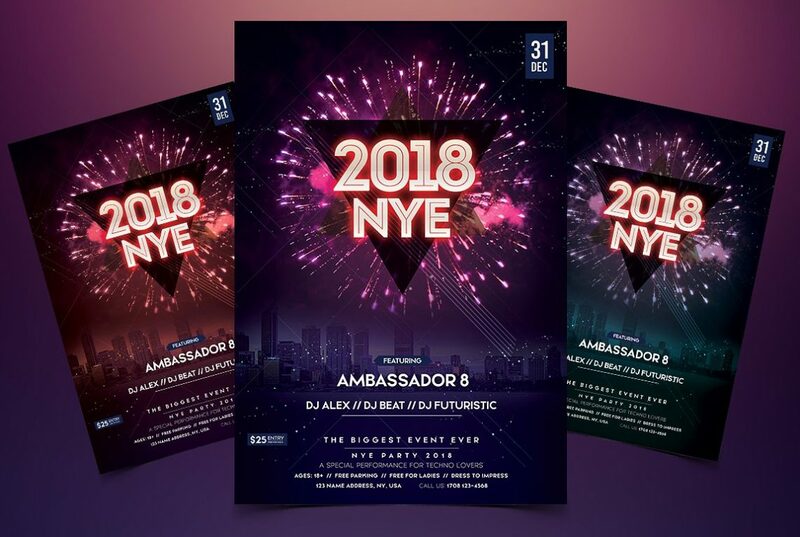 New Year Party is a premium nye flyer template to use for your next 2018 Event or party. This flyer can be used also for any product or business purposes. PSD is fully editable and very easy to edit. Flyer is suitable for any Happy New Year Event, NYE Party & More. If you need help, contact me via Creativemarket.com profile!